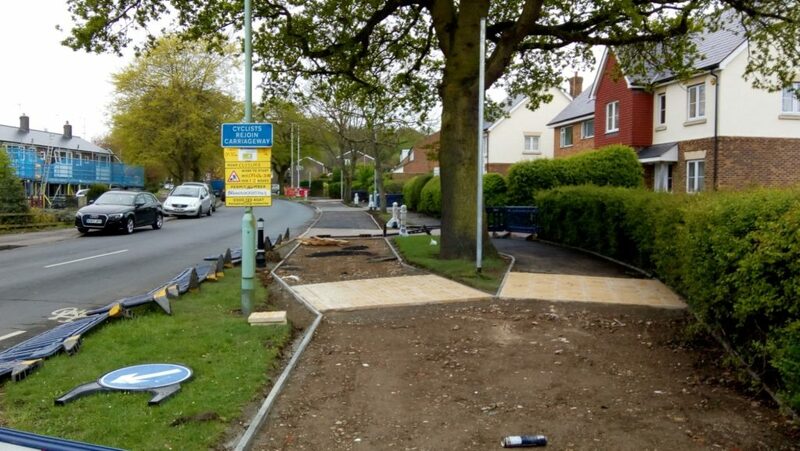 I took a short ride up to see how works are progressing on the western end of Wood Ave, Hatfield. 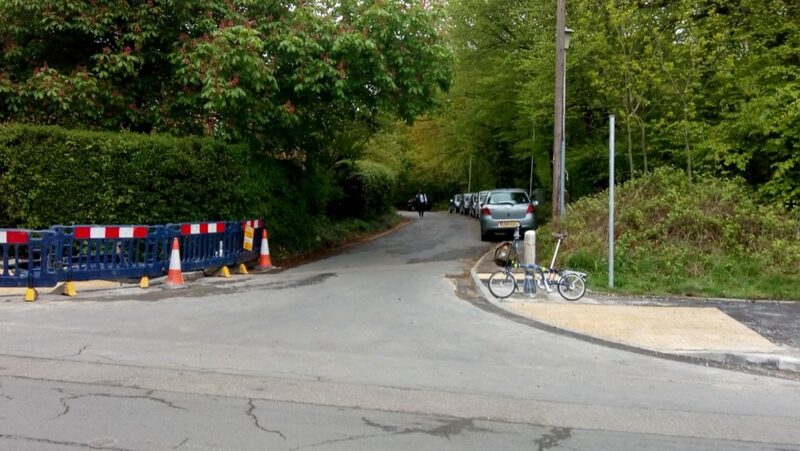 These works extend the segregated cycle path up the hill from the existing path at Oxlease roundabout and ends at the entrance to the University Halls of Residence on Bishops Rise. It was funded by planning gain from the rebuilding of the halls and is intended to help students cycle to and from the town centre and the station. 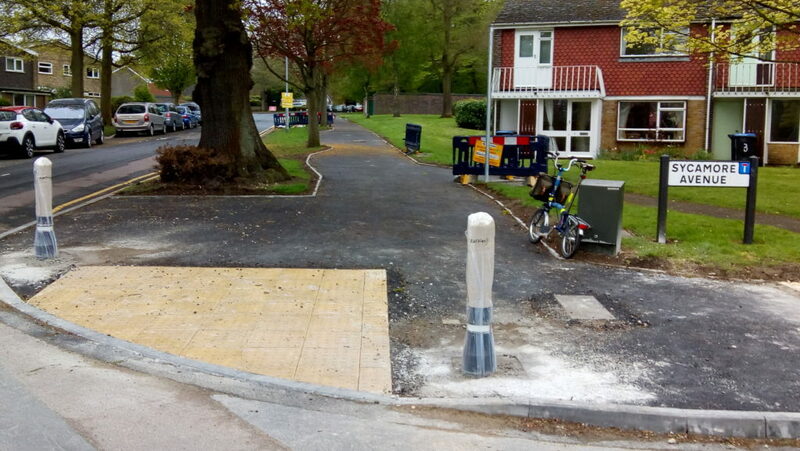 The new route starts at Oxlease with a short section of segregated cycle path to avoid the trees. The rest of the route is wide (3m) shared use path, as you can see in the foreground, as yet unsurfaced. At Briars Lane we could have had a raised crossing to give pedestrians and cyclists priority over cars. But despite references to this in district and county council policies, it’s not yet in their standards for cycle routes. From Briars Lane to Chantry Lane the route is complete apart from top surface and any markings. 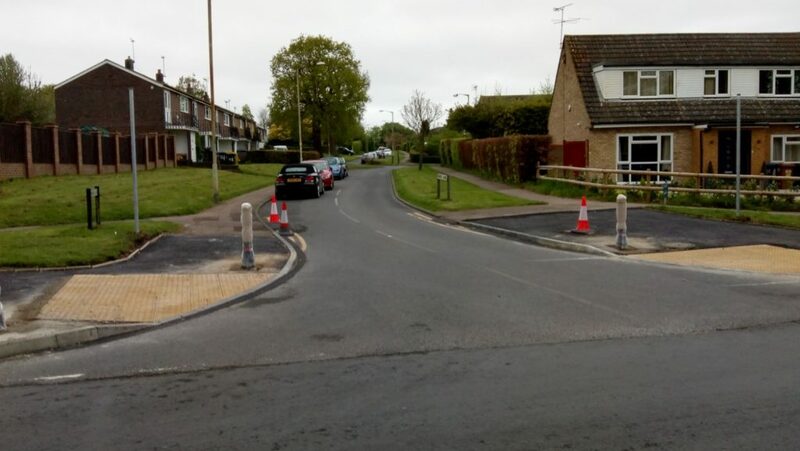 At Chantry Lane there is even less excuse for not providing a raised crossing. However, the corners have been tightened to improve sight lines. From Chartry Lane to the roundabout on Bishops Rise works are still at an earlier stage. This is looking east towards Woods Ave from the University side of Bishops Rise. Paint on the road show there is some work not yet stared to do around the entrance to the University and plus a short section of shared use path heading south towards Hill Top. This should enable cyclists turning right at this junction to turn onto the cycle path and go round the roundabout off road. Sadly the obvious extension to local shops and residential areas is yet to be funded. 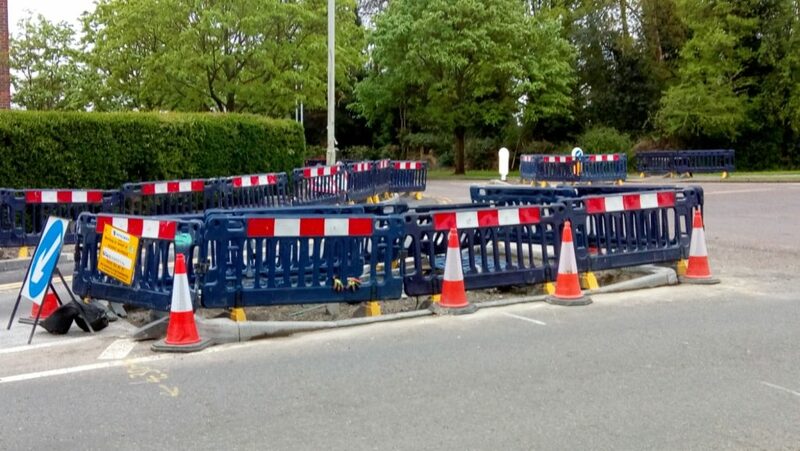 So on the plus side, a useful extension to cycle routes in Hatfield. On the down side, still too much priority to road vehicles and not enough money to get to Hill Top. We’ll keep campaigning.